Introducing our brand new 2019 party packages! 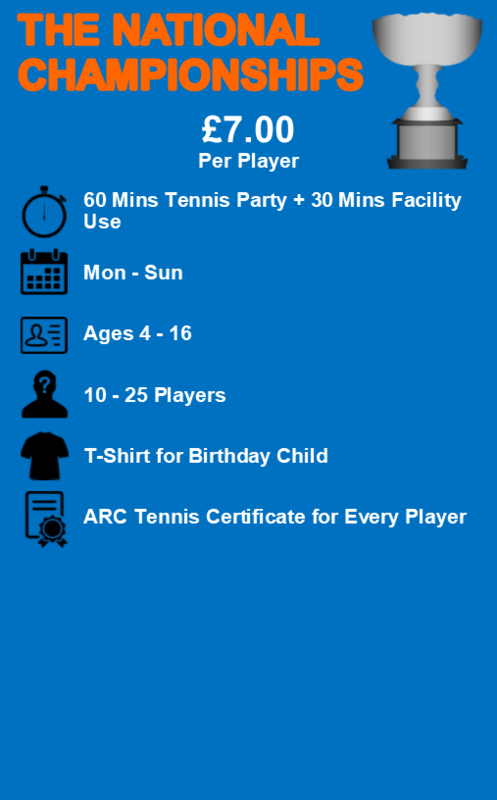 Above is our brand new party packages, each package includes a variety of benefits but all include a hour long super fun tennis party! Below are further conditions for all party packages and ARC’s contact information for if you have any questions. All parties can be tailored to suit your wants and preferences. All parties require a minimum booking of 10 children and maximum 25. All food must be provided. For any further information or to make a booking contact:- info@atlanticracquetcentre.co.uk or call us on 07587782675.